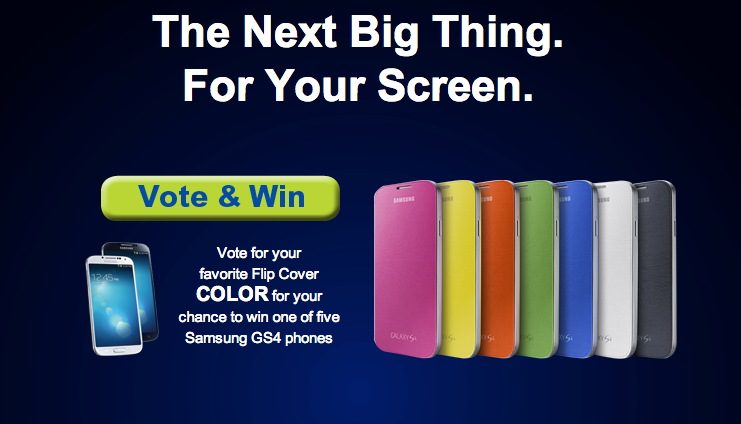 Samsung is currently letting the public choose the next color of their Flip Cover accessory for the Galaxy S4, while also letting them get a sweet deal on a new accessory. By completing the survey, folks are entered into winning a new Galaxy S4, plus get a 25% off code for the Samsung accessory web store. Don’t pass that deal up. The code can apparently be used on whatever accessory you choose, so go have some fun. Go fill out the survey here and get your discount code.